Greenland and Iceland. The yellow box shows the area of the enlargement above. This is a screengrab from NASA worldview. Below is an animation of the Arctic sea ice cover for the first 5 days of October 2016. Arctic sea ice for the first 5 days of October 2016. Data is from DMSP SSMIS Daily Polar Gridded Sea Ice Concentrations. The white circle in the centre of the image is the North Pole. In general, the freezing season following the warmest Arctic winter in the observational record has a low concentration of sea ice. Almost all of the Arctic sea ice is ~50-70% concentration. I would expect a decent icebreaker to be able to make way. The exception is the north east tip of Greenland. This is where we expect the thickest and most compacted Arctic sea ice - mainly due to the movement of the sea ice and the transpolar drift. Here the sea ice is above 90% concentration. 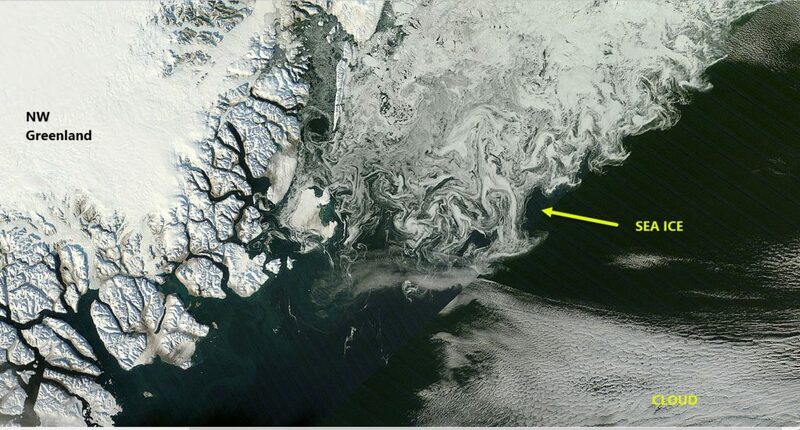 The movie below shows that this is the also region where the oldest Arctic sea ice resides. This wonderful movie was made by The National Oceanic and Atmospheric Administration using historical satellite data. 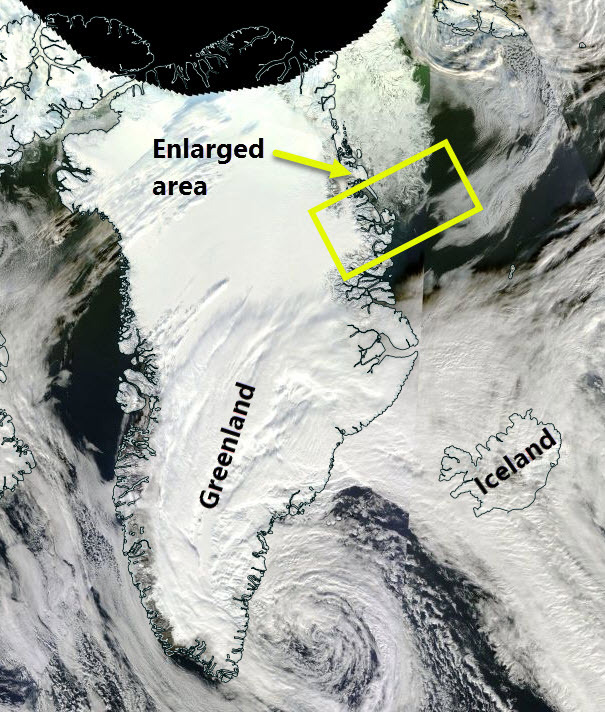 As the Arctic sea ice continues its general trend to lower ice cover, we can expect this older ice to become rarer.